HOMI, the Fiera Milano Lifestyle Trade Fair dedicated to accessories for both home and person will be stealing the spotlight once again from 14 to 17 September 2018. Countless stylistic ideas will be presented by the Fashion&Jewels segment of the event, which will host historical sector companies, renowned and emerging designers, leading names in bijoux and accessories, and international brands. The new SPERIMENTA areas will also characterise this edition and will welcome selected companies with a specific focus on innovation and experimentation, so as to recount the important role of artisan research and design. Spaces that will host traditions and revamped elaborations, where compact excellence, innovative and exclusive creations, and unique and original pieces of incomparable quality are to be found. More specifically, for the Sperimenta area dedicated to the world of fashion accessories (hall 9), HOMI will be creating a suggestive installation, representing travel, emotion of movement and discovery. The layout will revolve around a symbolic location, defined by geometric figures, colours and images: landscapes and backgrounds will transform the visitor into a character in a vast tableaux vivant. Moreover, mood boards designed to resemble photo shoots will enable visitors to take pictures to share, thereby creating a flow of virtual content to be diffused on social media, resulting in a new way of communicating and involving designers, artisans and products. An installation displaying the results of international research conducted by the Polytechnic University of Milan will be making its debut at this edition, with a study dedicated to millennials and their authentic interest (emotional and spending) in contemporary jewellery. A special multimedia space will give substance to the study, which was carried out by students from the Milan-based university and will offer an important insight to identify the new languages of future consumers. A means that HOMI will make available to all the key players at the event, so as to be more in tune with the needs of its customers. There will of course be a new Tuttepazzeperibijoux event, the space that offers selected and niche jewellery, characterised by originality. Conceived and created by Maria Elena Capelli, coolhunter and Tuttepazzeperibijoux jewellery blogger, this area, which has been running for five editions, represents a point of reference for concept stores and jewellers seeking unique, handmade, premium-quality jewellery that is in no way ‘prohibitive’. A number of important HOMI Fashion&Jewels meet-up opportunities have been confirmed: there will be numerous different talks and workshops that will breathe life into the exhibition event and will see sector experts (journalists, fashion stylists, trendsetters and opinion leaders) in attendance, to provide important suggestions so as to increase the number of opportunities made available by the event and render the latter even more profitable for the visitors. 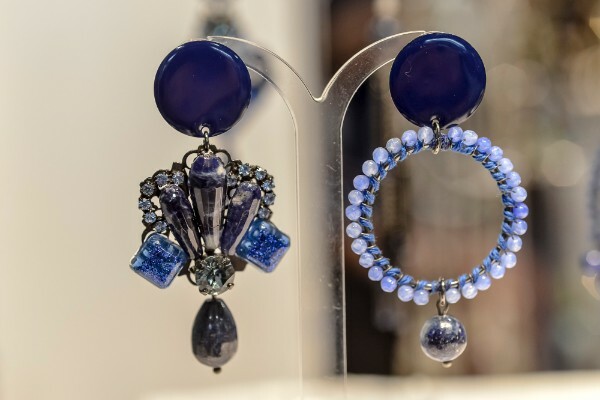 These meetings will be joined by four engaging events: the HOMI catwalk (Fashion&Jewels Piazza - Hall 9) will see the most representative collections of exhibitors take to the runway, in a mix and match of bijoux and fashion accessories. HOMI, the Fiera Milano Lifestyle Trade Fair will be taking place from 14 to 17 September 2018 semi-simultaneously (on Sunday 16 and Monday 17 September) with MICAM Milano, the International Footwear Exhibition, and Mipel, the trade show dedicated to leather goods.